The American brand Titleist is famous for its unique golf equipment and apparel. They are mainly well known for their golf balls. True to their name, Titleist produces the number one golf balls being used in the pro circuit today. Titleist golf clubs are nothing to scoff at either. Although they are not as popular as their golf balls, these golf clubs are perfect for any golfer who wants to up their game. Dubbed as "Serious clubs for serious golfers", Titleist golf clubs are well crafted and well designed. One such "serious" golf club is the Titleist 718 AP3 Iron Steel Shafts 4-PW. Let's take a look at what this golf club has to offer. Many golfers consider the 718 AP3 Irons Steel Shaft as the perfect adjustment to the AP1 and AP2. Many feel that the AP1 was a much bigger 4-iron, while the AP2 was a tad too small. The Titleist AP3 however, was able to capture the sweet spot regarding size. It isn't too big, and it isn't too small which allows for a more consistent result when being used. Titleist golf clubs are always made with high-quality materials. The AP3 Irons Steel Shafts 4-PW sports a hollow-blade construction and uses a 17-4 stainless steel body. Combined with tungsten weights that are high-density, this 4-iron has enhanced stability and allows for better shot control. It only weighs around 78 grams (one-third of the weight is on the head). The face of the AP3 4-PW has an L-shape and provides an excellent feel. 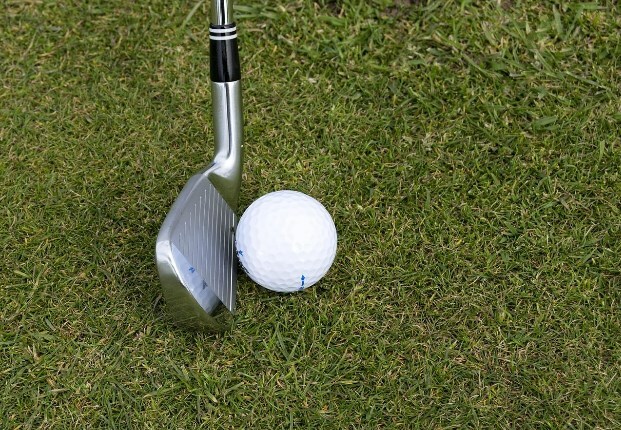 The design allows for a more shot-stopping spin, better consistency and yardage. Concerning performance, the AP3 Iron Steel Shaft 4-PW dramatically outperforms its predecessors. Mostly considered as an upgrade to the AP1 and AP2, the AP3 has yielded 6.5 yards more during testing, compared to the 716 AP2. That is a significant increase which can result in a more favourable game for anyone using it. Although the AP2 is the number one iron on the Tour in the past (mainly because it is more forgiving in their current skill levels), the AP3 is still considered as the longest and fastest player's iron. Due to the higher MOI (Moment of Inertia) design, it is much more forgiving for anyone using it. The 718 AP3 Irons Steel Shafts 4-PW is the perfect iron for anyone looking to improve their game. It offers much more precision and distance than other 4-PW on the market today. It is suitable for all handicap ranges but is mostly favourable for low to mid-handicaps. It is also considered by many as the perfect 4-PW for any single-figure golfers or good amateurs simply because it is more forgiving and offers the same feel as the AP2. Try using the 718 AP3 Irons Steel Shafts 4-PW for a few rounds, and you will quickly feel the difference with its predecessors. In fact, more and more pros are using it on tour today and have yielded excellent results. So don't be surprised if the 718 AP3 Irons Steel Shafts 4-PW becomes Titleist's number one model.